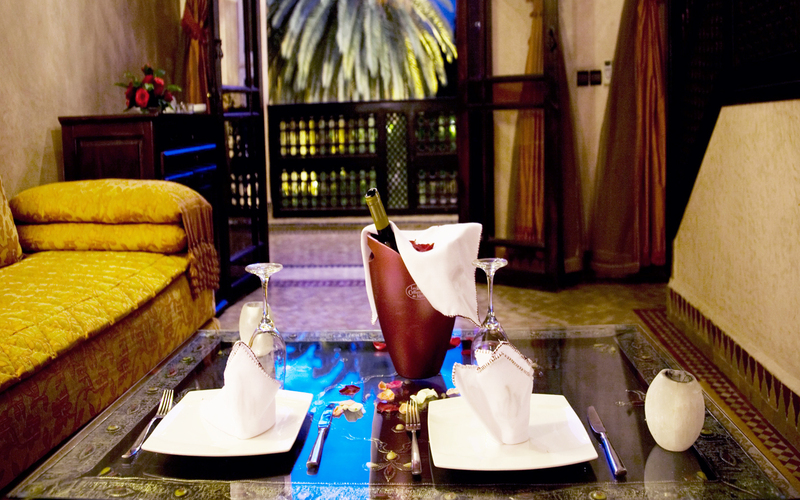 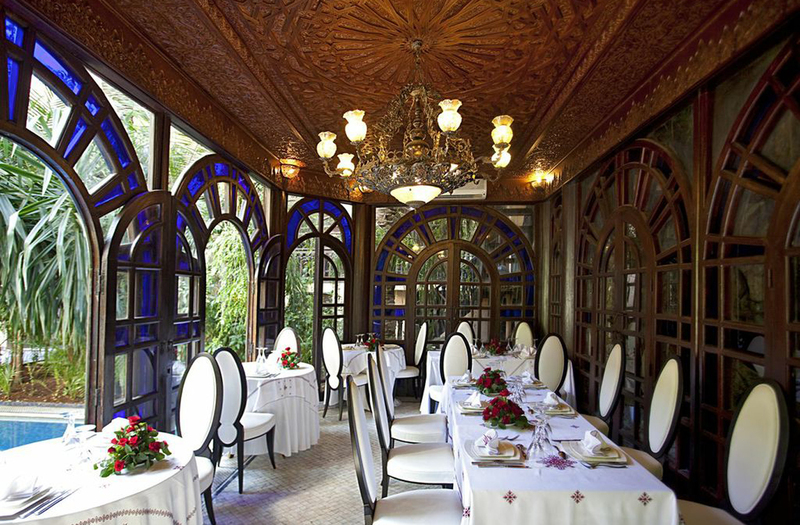 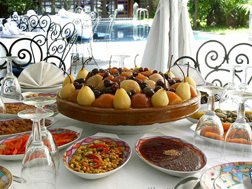 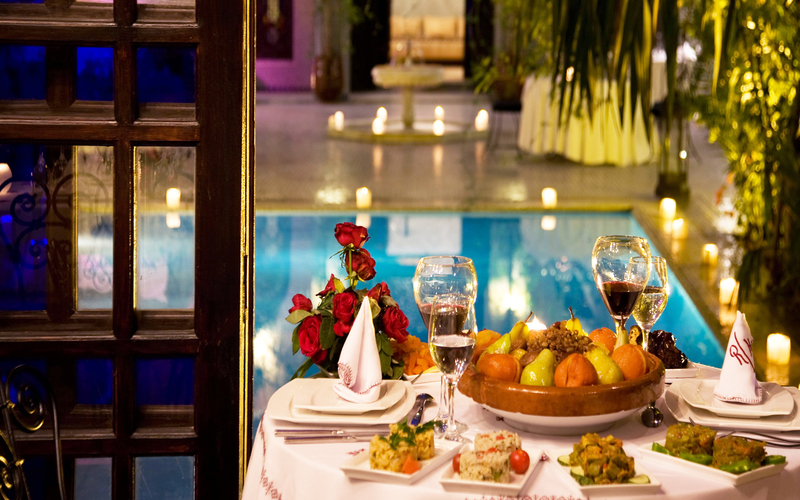 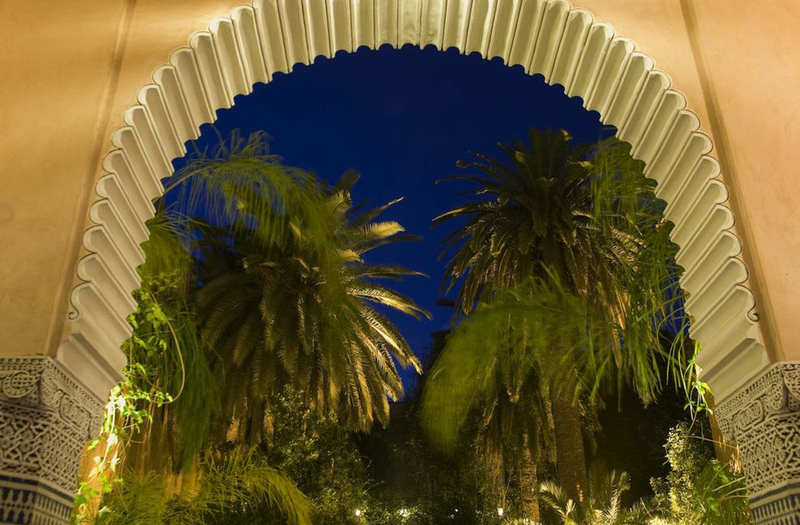 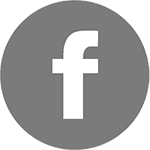 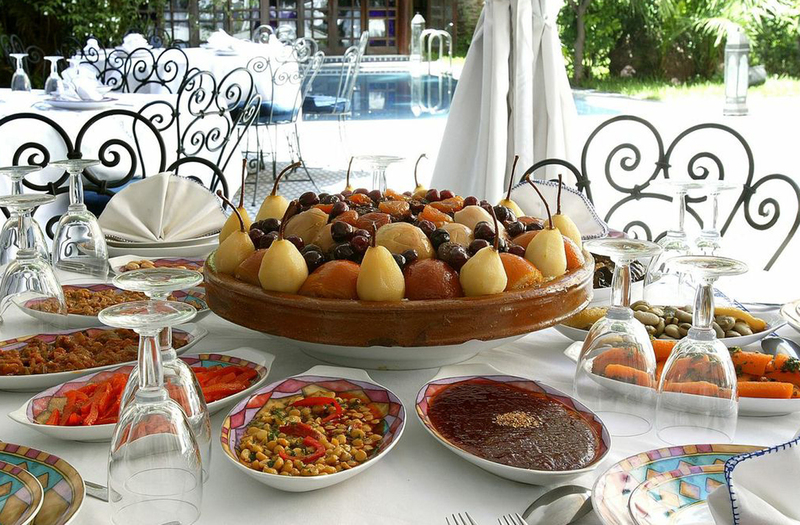 Exquisite moroccan gastronomic restaurant " Les Jardins de Sheherazade"
Tailor-made events up to 350 guests. 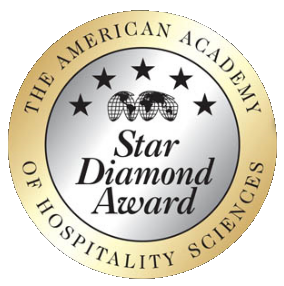 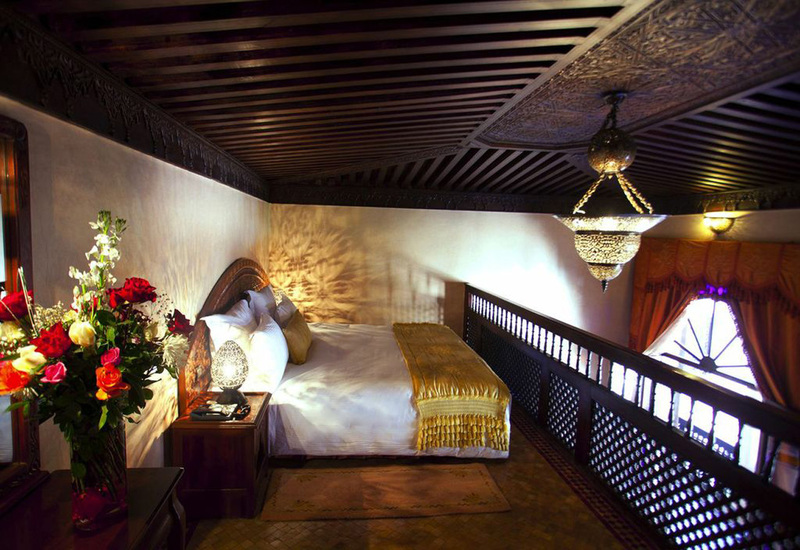 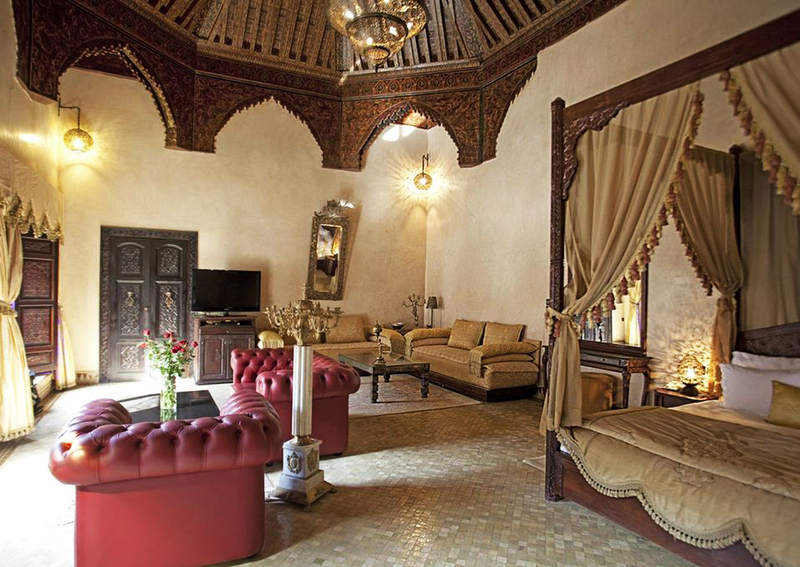 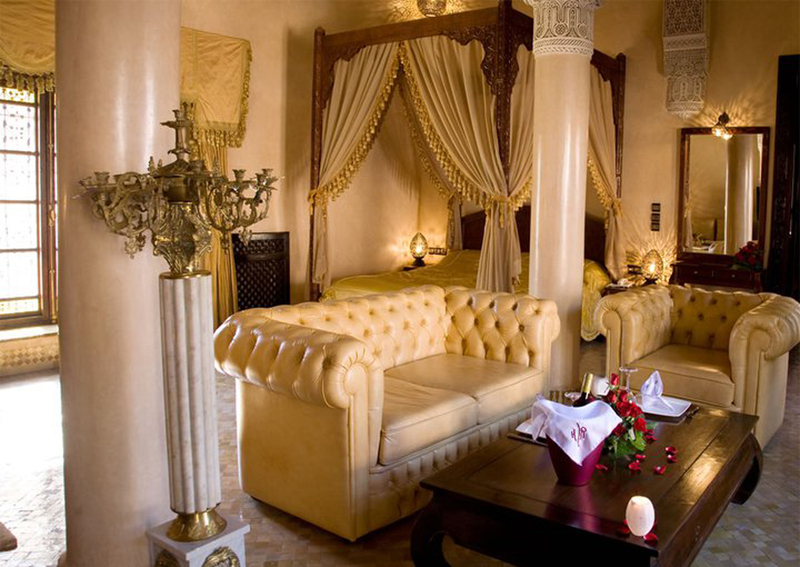 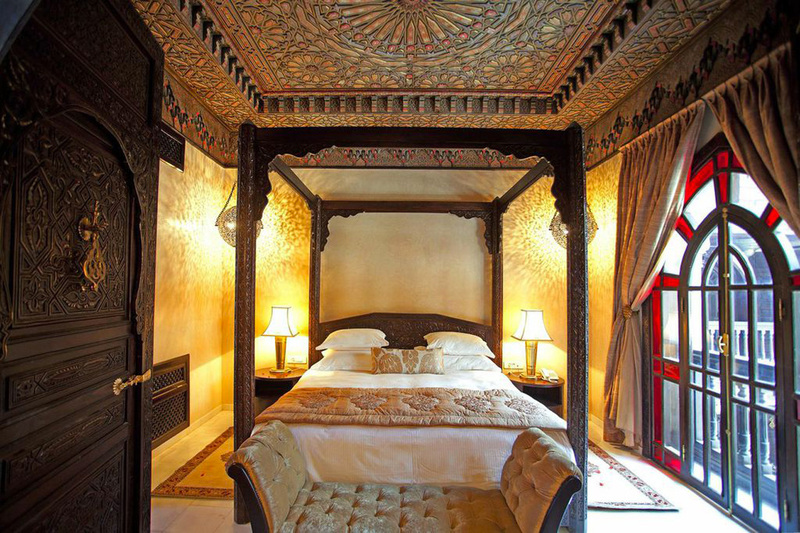 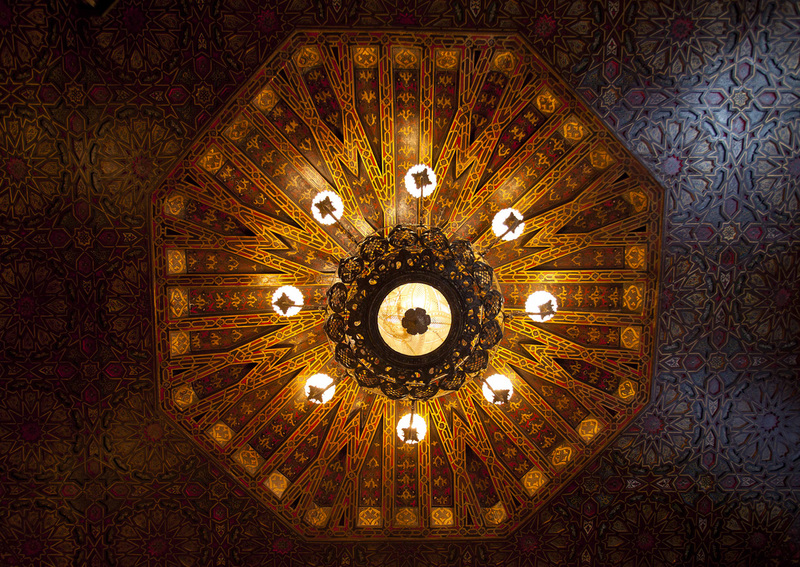 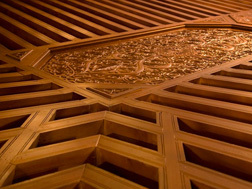 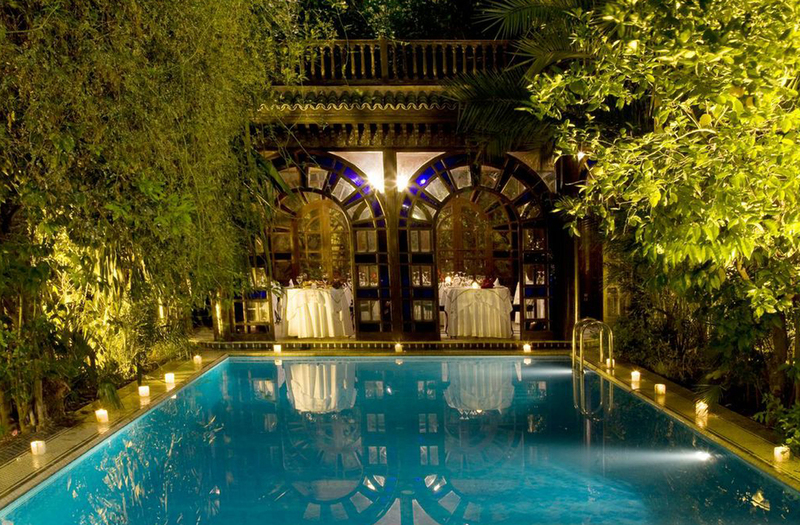 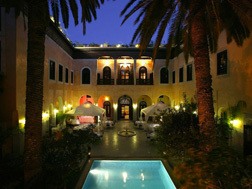 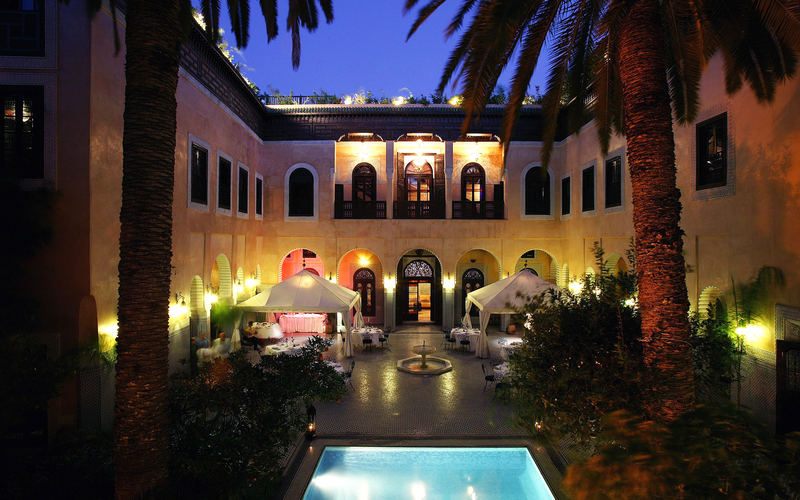 Somptuous arabo-andalousian palace built by the moroccan Vizir of finance in the XIXth century as his main residence, this luxury hotel in Fez have been awarded by the American Academy of Hospitality Sciences for its excellence. 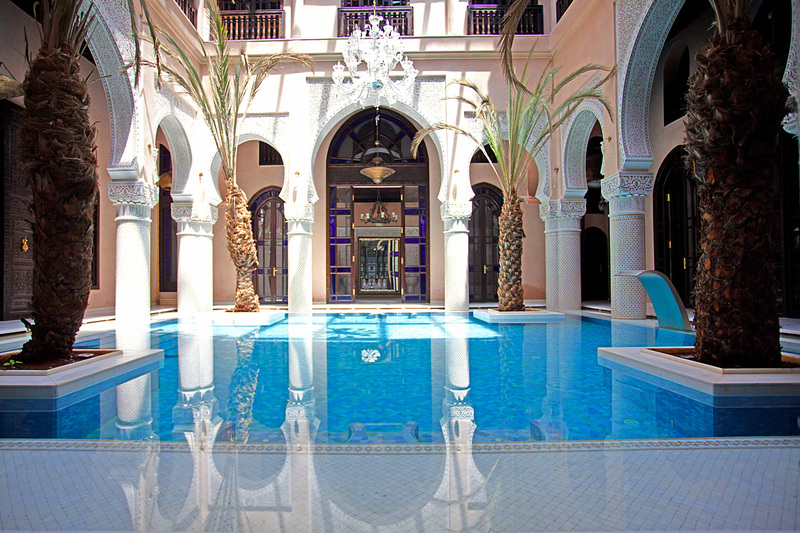 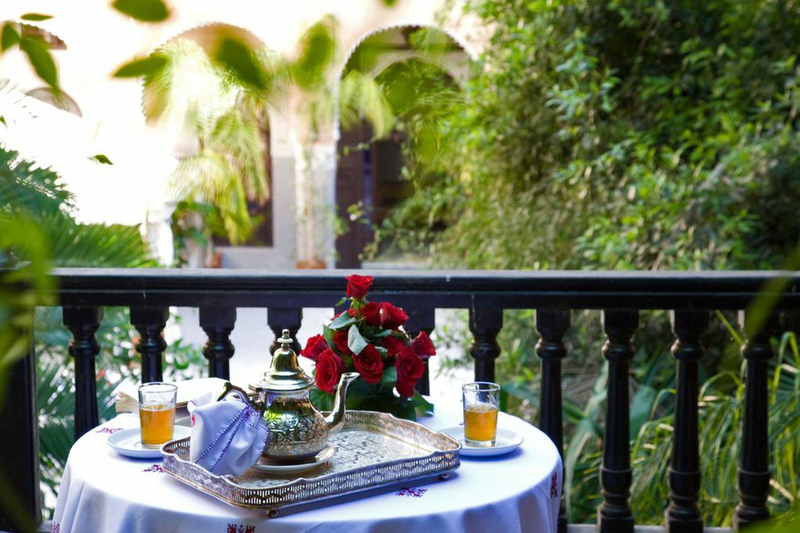 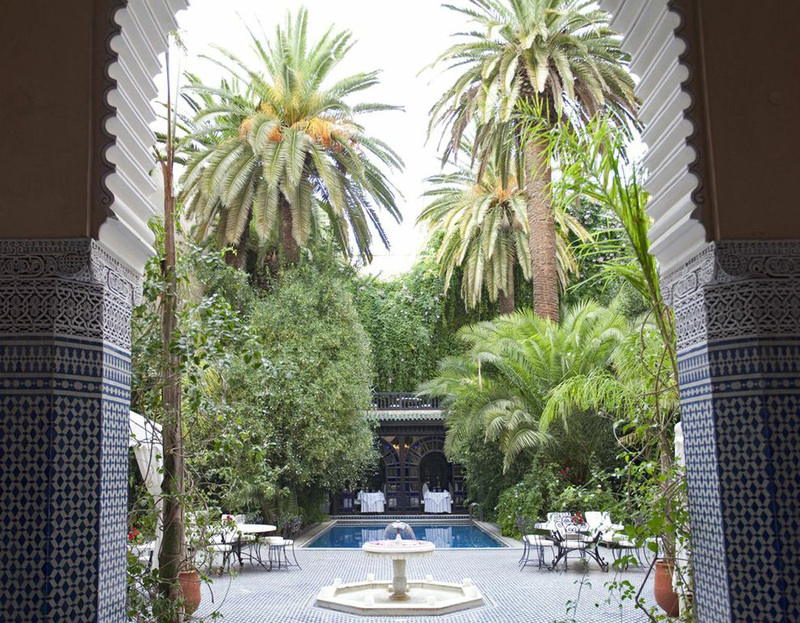 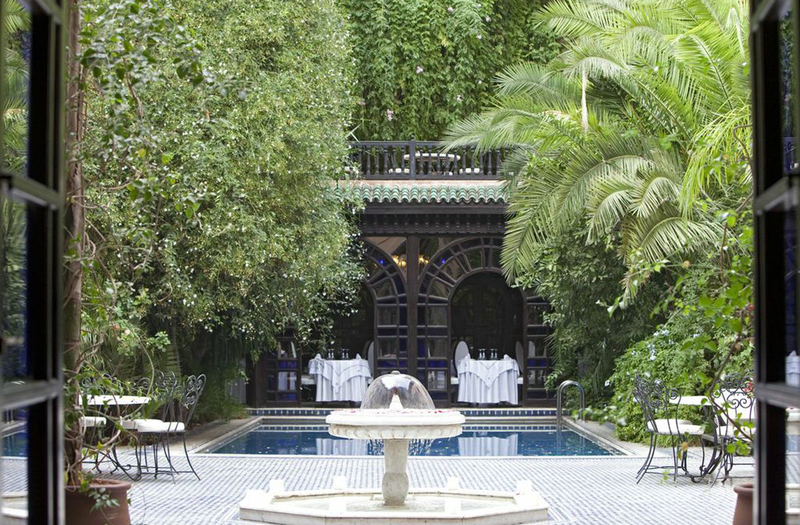 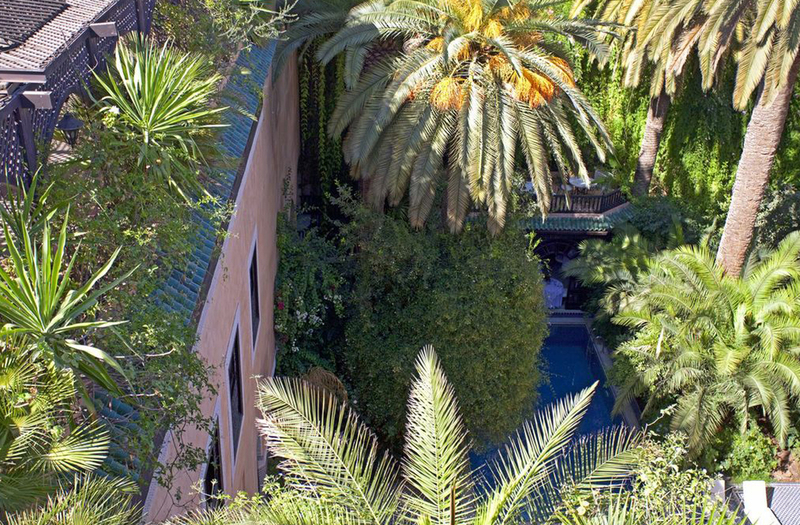 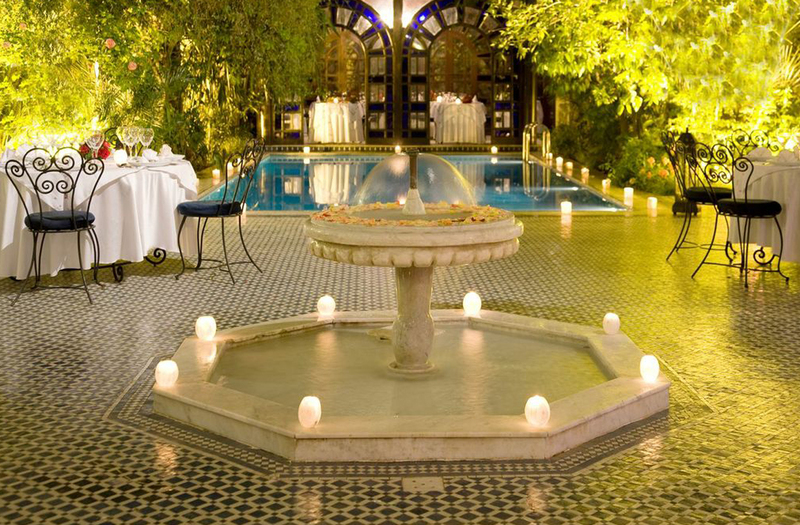 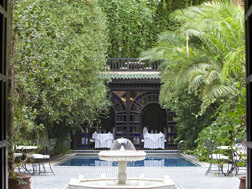 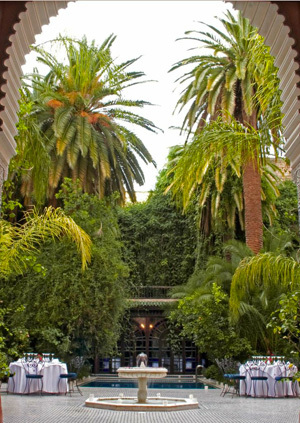 A grand patio, open to the sky, embodies the ages-old traditional decoration that represents the essence of Morocco. 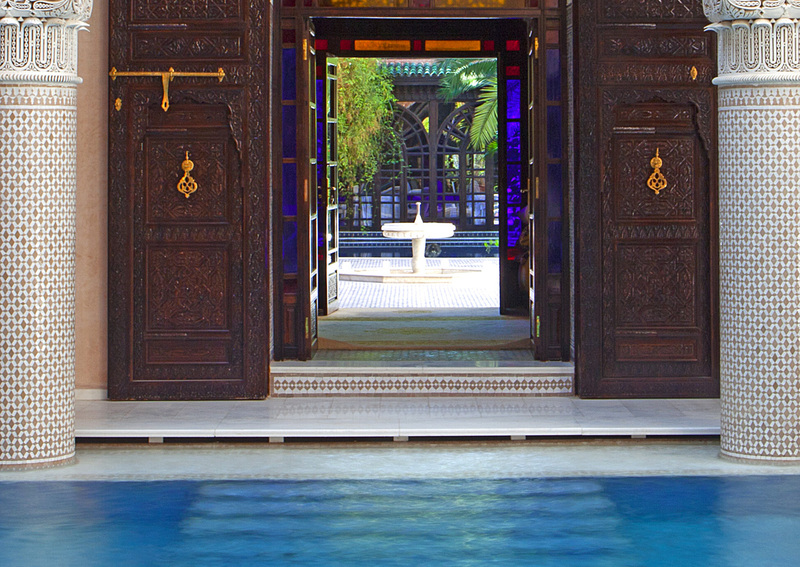 Free Wi-fi – Oriental Spa signed by Anne Semonin – 24 unique Suites – Privatisable areas – Two luxury riads in Fez forming a XIXth century palace – Andalousian garden with century old palms and giant vegetal wall – Gastronomic moroccan restaurant – Cedar ceilings sculpted and painted by hand- Moorish kiosque and andalousian garden- large exterior pool and covered aquatonic pool with hydromassage - Jaccuzzis- high quality beds and linen – Panoramic terrace offering a panoramic view on the medina of Fez - Gastronomic moroccan restaurant in Fez – Hammam & Sauna on request inside our luxury riad Fez - Organisation of events up to 350 guests – Private Jet leasing with our partners – Concierge service- transfer from the airport to the hotel on reservation – 5* Stars hotel services - tailor-made and handcrafted furniture.